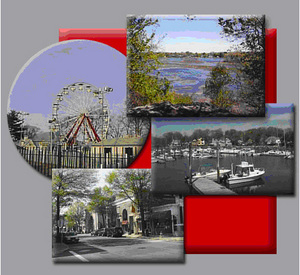 The City of Rye is located in southern Westchester County, New York, on the shore of Long Island Sound, 25 miles from New York City. Approximately 15,000 residents enjoy 5.5 miles of water vistas, nature and wildlife preserves, and open spaces, in addition to an active downtown, a municipal golf club, walking trails and history dating back to the 1600s. The Rye City School District includes three National Blue Ribbon elementary schools of Excellence serving grades K-5. Rye Middle School, also a National Blue Ribbon School of Excellence, serves students grades 6-8, and Rye High School, ranked among the top high schools in the country by U.S. News and World Report and Newsweek Magazine, provides a full range of curriculum opportunities at Regents, honors and Advanced Placement levels for ninth through twelfth graders. The Rye School of Leadership, part of Rye High School, serves high school students who learn best in a non-traditional educational environment. The mission of the Rye City School District, in partnership with the community, is to ensure that every student is capable of becoming a life-long learner who can thrive in a global environment as a self-reliant and socially responsible citizen. To realize this mission, our schools will provide an engaging, challenging, personalized program that supports each individual’s talents and potential, in a fiscally responsible manner. At the April 9, 2019, meeting, the Board of Education voted to bring a new capital bond referendum to the community. The vote will be held on Tuesday, June 11, from 7:00 AM - 9:00 PM in the Rye Middle School Gymnasium at 3 Parsons Street. While the School District’s annual budget vote and trustee election on May 21 seems far away, it will be here before we know it. The new school year is quickly approaching and the Food Service department is busy preparing for our students to arrive! Please take a moment to review some important information that will assist you in successfully navigating the food service program offered at the Rye City School District schools.